Sure.. we can write an article about a new car, or a perfectly restored vehicle, we see quite a few on the local car show circuit. Now don’t get me wrong, they look great and we love them. The thing is, when you see a Rat Rod and you hear the story behind it suddenly you have something a little different, something against the grain, suddenly your interest is piqued and you stop for a minute to take it all in. 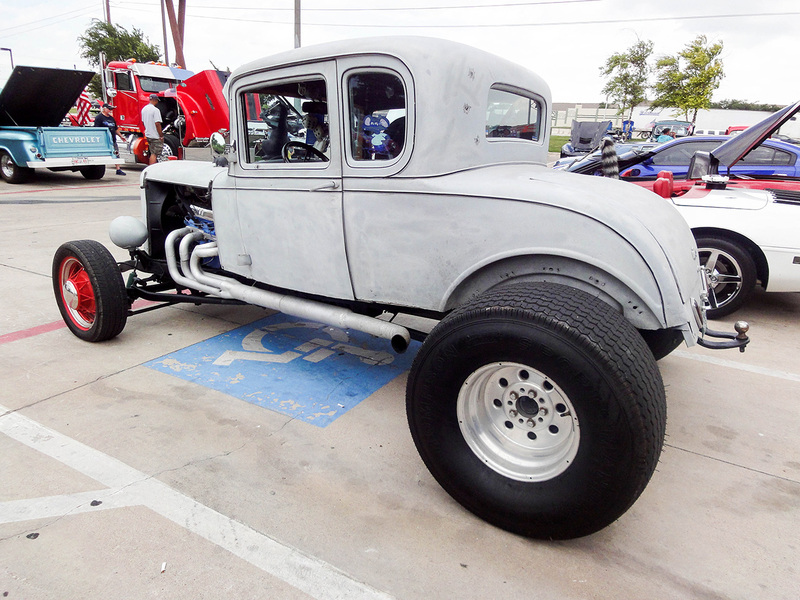 Allow us to introduce you to David Rogers and his 1932 Chevrolet Rat Rod. This is a car that was proudly built by David and we had a chance to speak with him and meet his family and boy were they excited about this Rod. You see, to some, a Rat Rod is just rolling parts and scraps of metal but if you take a closer look you will discover the workmanship, the artistry and the uniqueness of these cars and this rat rod is just as creative. 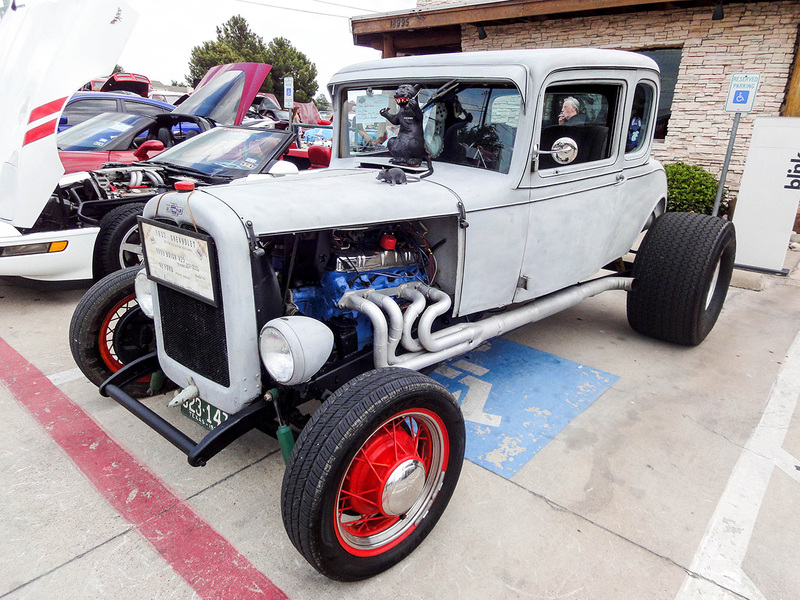 The Rat Rod movement has been gaining momentum and exposure in recent years; these guys are about having fun, enjoying themselves and building a car on a budget. They seek out these hulks of prewar cars for only a few dollars and modify them to feed their need for speed. Typically you would see or hear about a rat rod built on a Ford platform but not this one, David’s prized possession is a Chevy. This car was built from scratch, it was found in a barn on the dirt floor where it had been for 18 years with the bottom rotting out to the point of where it could be classed as junk but David saw an opportunity. He added a 66′ Buick 425 Nailhead, Turbo 400 transmission, 48 Ford front axle and rear end with 373 gears, some beefy Mickey Thompson tires, and if you take a look inside you’ll see he made a pistol for his gear shift. David and his wife discovered just how fast this car could go on an open road where he was able to do 105, I told him that I was glad I wasn’t there because that is some serious speed for this old gem. His car is a beauty and if this one isn’t enough David is currently working on a 1929 Rat Rod with his signature pistol shifter. I want to thank David and his family for being so gracious to me and sharing their story and most of all their car, I don’t know what you think about this one, but for us, it is Car Guy approved.